Newcastle is underrated. We don't get swarms of tourists in Newcastle because everyone outside of it thinks of mining, Billy Elliott and Geordie Shore (yes, it's a rip-off of Jersey Shore) when they hear Newcastle. It's literally student heaven. In comparison to most (or all) other student towns and cities rents are cheap, going out is cheap, living is cheap in general and there's a fantastic underground alternative scene happening. 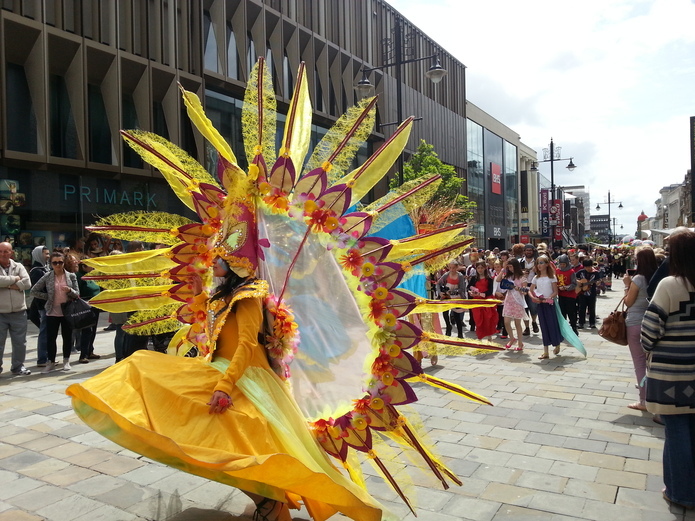 Culturally Newcastle satisfies all my needs: independent cinemas, theatres, two Universities, eco-shops, etc. - It may not have the sightseeing quality that London or Edinburgh have, but it's got charm and it's unique. I wouldn't want to live anywhere else and I hope the creative scene keeps on striving without attracting too much attention that might spoil the city. There are quite a few amazing places in Newcastle. For geeky things I recommend Forbidden Planet [59 Grainger St], Travelling Man [43 Grainger St, City Centre] and opposite the two there is a new Geek Retreat comic shop and board game café - it's literally a triangle of geekiness. Newcastle city centre is pretty difficult for top-notch craft supply shopping. I usually go to Hobbycraft [Team Valley, Tyne and Wear, United Kingdom] in Gateshead. It's 25 minutes by bus or quicker by car. Tynemouth Market [Tynemouth Station, Station Terrace, Tynemouth] (which is on Sat & Sun, 9am-4pm) has a few very good stands where they sell all kinds of tools for jewellery making, knitting, and much more. I go there almost every weekend, just for the atmosphere. You can take the metro from anywhere in the city and just get out at Tynemouth. You can't miss it, the market is actually IN the metro station. There is a small shop for jewellery making in Grainger Market [Grainger Market, Grainger St] (fresh produce market in the centre of town) and some fabric stores. Everything else I get online. If someone knows better places, please don't hesitate to mention this so it can be added here! Two places pop to mind for selling your crafts: The aforementioned Tynemouth Market [Tynemouth Station, Station Terrace, Tynemouth] is ideal for craft sales and Grainger Market [Grainger Market, Grainger St] (in the centre of the city) has a monthly craft market. 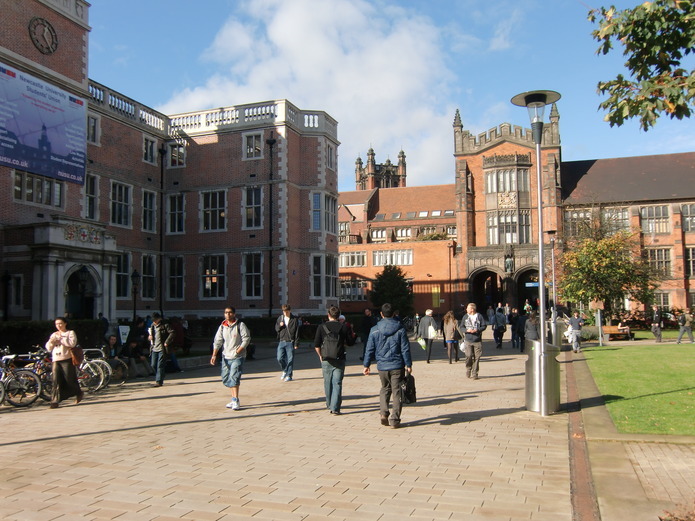 It is usually possible to ask the Universities as well - they have much room for occasional stalls. I would recommend the Quayside [35 Close], the coast and if you are happy to go a bit further afield... maybe try a day-trip to the Lake District - it will blow your mind! I am a regular at the Tyneside Cinema [10 Pilgrim St], lots of foreign and independent films with a student discount! The Centre For Life [Times Square] (just by the station) has some very good exhibits on at times and the annual Maker's Fair which is worth a visit. If you are into sports. Newcastle United Football Club [St James' Park, Strawberry Pl] is obviously the most important team, but the Newcastle Eagles Basketball [Northumbria University, Ellison Building, Ellison Pl, Newcastle upon Tyne] are currently on the top of the league and tickets are cheap, so why not enjoy that? If you prefer Rugby, there are the Newcastle Falcons [Kingston Park, Brunton Rd] - never been to a game but I see many people with merchandise around the city so they must be popular?! If you're an outdoorsy type I can recommend Leazes [Leazes] and Jesmond Dene [Jesmond Vale] parks. They are green haven's in the city centre. 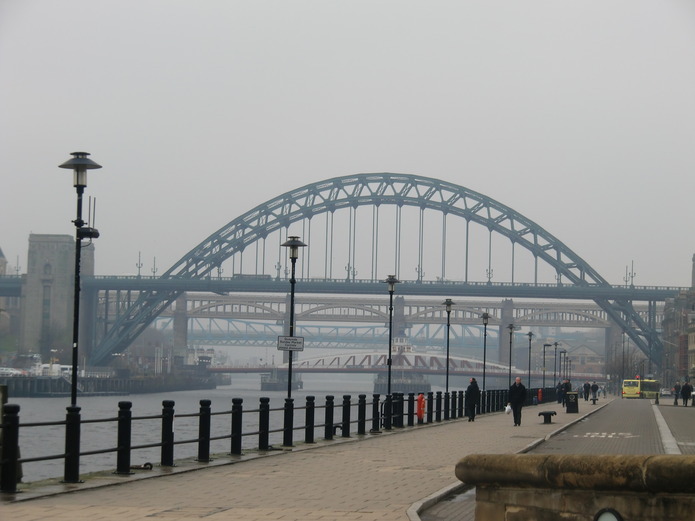 Go down to the Quayside [35 Close] and enjoy the bridges (sounds boring, it's not). For a good photo go into the Baltic [Gateshead Quays, S Shore Rd, Gateshead] (a free museum on the other shore) and take the elevator to the viewing platform. 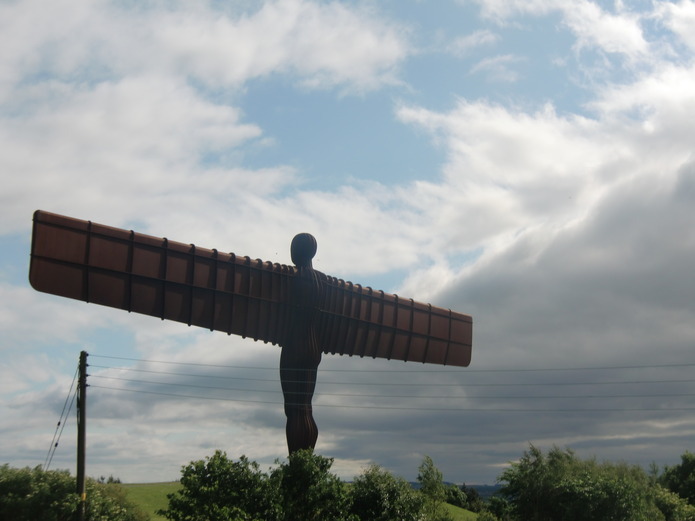 If you fancy a trip to the Angel of the North [Durham Rd, Low Eighton, Gateshead] (the iconic symbol of North East England) there's a bus from the city centre - takes around 20 minutes and it's a very good picture spot. All places along the coast, whether it be South Shields, North Shields, Whitley Bay or Tynemouth are gorgeous picture locations. Absolute favourite of me and my friends is Al Baik [Byker Bank] - a Lebanese place in Byker which is super mega cheap with super mega yummy food. Also good for veggies. Solomon's Dhaba [3-4 Studley Terrace] is the best Indian place in town, though it is not directly in the city centre, but in Fenham. It is SO worth it though, you must try their mango lassis. For cafes and restaurants try Butterfly Cabinet [200 Heaton Rd], Sky Apple Cafe [182 Heaton Rd] and Heaton Perk [103-105 Heaton Park Rd] in the popular student neighbourhood Heaton. Easily reachable by Metro with stop 'Chillingham Road'. You'll probably run into a few more coffee shops along the way. 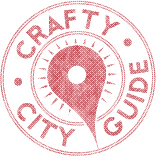 In the centre of the city we've got Scrumpy Willow & The Singing Kettle [89 Clayton St] (a veg & vegan place), the Tyneside Cinema [10 Pilgrim St] Café, Istanbul Cafe & Bistro [19A Ridley Pl], Quilliam Brothers' [Barras/Claremont/Eldon Buildings] (tea!) and Tea Sutra [1st Floor, 2 Leazes Park Road] (tea!). Those are my favourites and they have student friendly prices. But also worth checking out are: Pink Lane Coffee [1 Pink Ln], Flap Caps Coffee [13 Ridley Place] and Coffee Trader [Northumberland St]. I absolutely love The Charles Grey [118 Grey St] right by the monument... it is a lovely pub with an amazing view. Other pubs I can recommend are The Five Swans [14 St Mary's Pl] and The Town Wall [6 Bewick St]. All cafes mentioned are really nice to sit down and craft. The Settle Down Café [62 Thornton St, City Centre] specifically invited you to come and spend some time there. I would say the Newcastle Arts Centre [67-69 Westgate Rd] and any of the museums would be great places to meet crafty friends (they all have coffee and tea shops). Universities offer many exhibitions, Hatton Gallery [King's Rd] especially that are often run by students. Drink a Newcastle Brown Ale and by some Ouseburn Coffee Co. [Foundry Lane Studios, Foundry Ln] coffee! It is the best in town and locally brewed - yum. 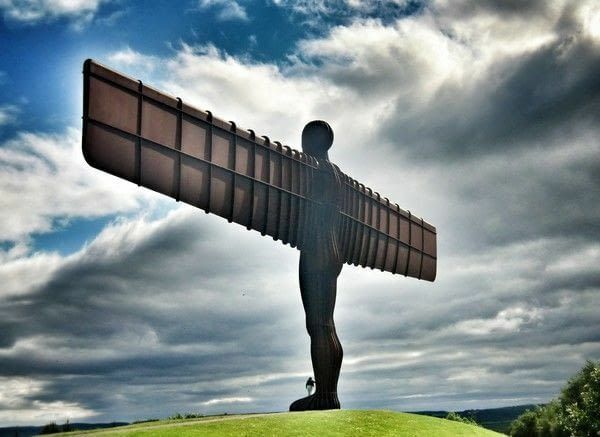 I absolutely love Newcastle! 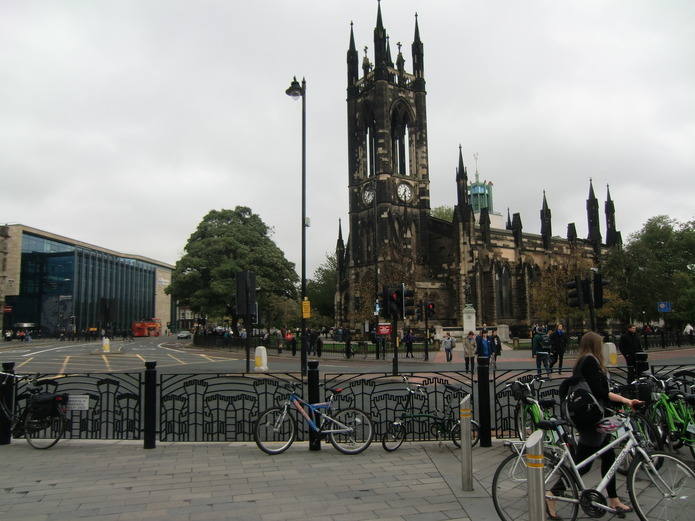 Ever since my brother got accepted to study Product Design in University of Northumbria and I got to go visit the city, I fell in love with the place! An amazing place for fine Persian food (think of fragrant stews, rice with saffron, delectable kebabs and the most amazing saffron ice cream) is a place called A Taste of Persia. I look forward to visiting Newcastle again and checking out the places you mentioned for crafting but it must be really cold there right now!